Der Krankenbesuch. Elegante junge Frau umgeben von Dienerin und Medicus. Öl auf Holz. U.l. schlecht leserlich sign. «Le Couner (?)». H. 40,5, B. 32,5 cm. 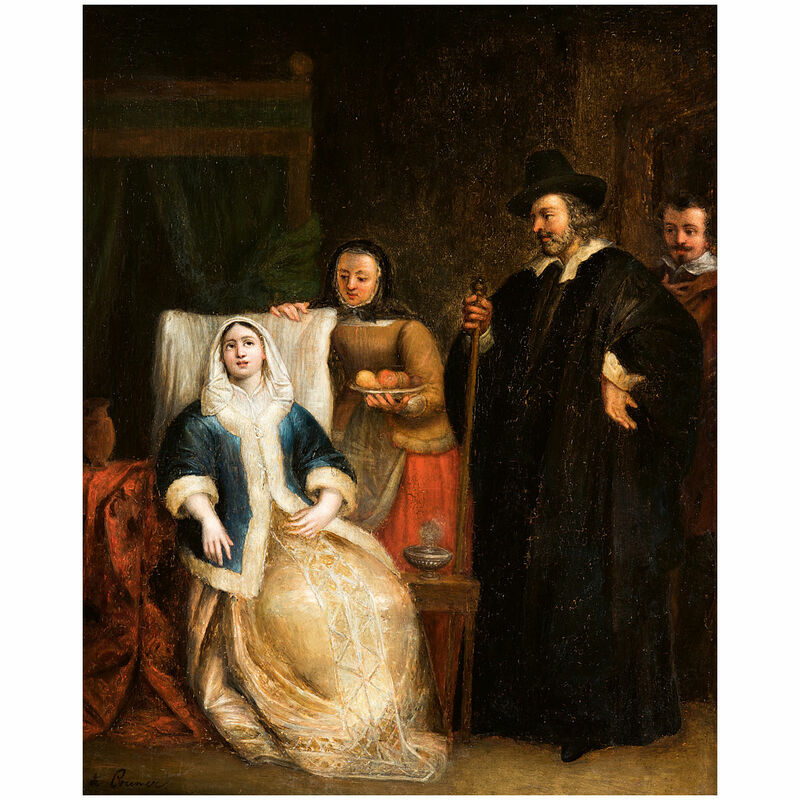 Spanish or Dutch school 17th/18th C. The sick visit. 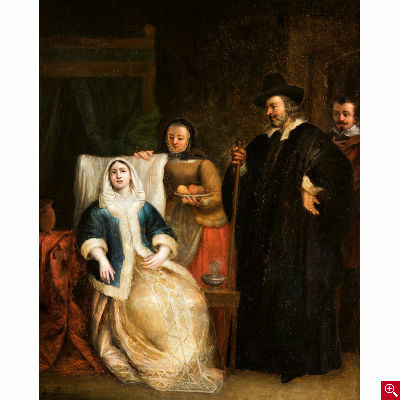 Elegant young woman, surrounded by her servant and physician. Oil on panel. Badly legible signed lower left «Le Couner (?)». H 40,5, W 32,5 cm.